Azerbaijan is still a matter of discussion: is it Europe or already Asia? The uniqueness of Azerbaijani culture is made up of Persian influence, common Caucasian features and Turkic inheritance. Having been one of the main stops on the Great Silk Road, the country has always been famous for its hand-made carpets, the most beautiful nature and wine. From old times Azerbaijan was called “The land of fire”. Natural gas, coming out of cracks in land, often inflamed because of a lightening strike or an improperly made fire. These fire flames, growing out of land, amazed ancient people. 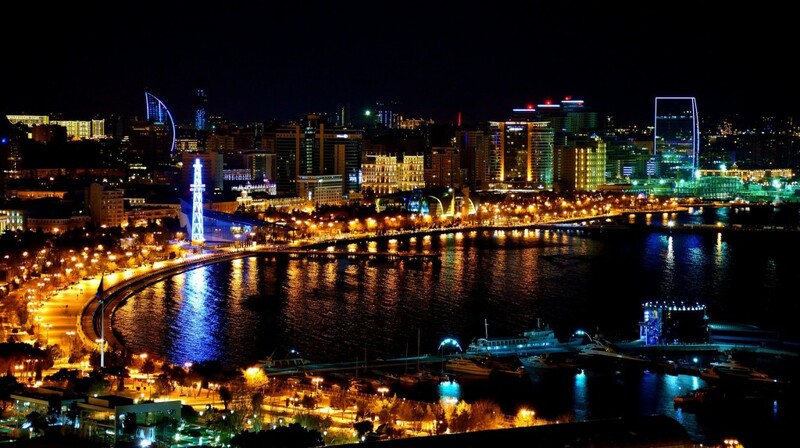 Baku is the capital of Azerbaijan and the biggest city in the Caucasus. Here modern architecture harmoniously combines with medieval buildings, without loosing the charm of the mysterious East. In the country there live more than 9m people, 55 % of which are city dwellers, and 45 % live in the countryide.